Differently-abled? Yes! But inspirational? I am not sure! Anoushé explores what it means to be inspirational (picture by Sana Murad, courtesy of Anoushe Husain). Are People With Disabilities Truly Inspirational? I'm not sure how many times I have been called inspirational in my life. If I was given a penny for every time, I'd have a mansion by now. The word makes me hugely uncomfortable and I know I'm not the only one who is differently-abled or different that feels this. For this article, I decided to dig a bit deeper and work out why I feel the way I do. What Does Inspirational Actually Mean? Looking at various dictionaries, inspiring can be broken down into two main definitions. 1) It can mean doing something in such a brilliant way that it could be seen as divine or, more than what "normal" humans do. 2) Inspiring is doing something in a way that changes intellect, emotions or opinions. In other words, someone inspiring could be seen as an influencer or a change maker. I am a change maker, I happily identify with that word. When I'm not in the office trying to create change via my work as a civil servant or training hard to create my own change for myself and chase my own happy, I work with a lot of organisations and share my own journey and learning to create change around fear, the perception of disability, equality, social mobility and perceived societal barriers people might face due to who they are or where they might come from. So, in that sense, I'm inspiring change, I'm doing something. My difficulty is with the first definition - inspiring because of who I am, not because of what I chose to do as a consequence. The media has an awful habit of portraying differently-abled people as heroes because they keep getting out of bed in the morning, having breakfast and going to work. Last time I checked, earning a living is one of the most normal things to do in one’s life. So is having breakfast. These things are far from super human or divine in nature. So why do people and the media insist on calling us inspirational when we have completely normal lives? The only theory I can come up with is that people cannot imagine managing the way we do if they had to walk in our shoes and so, they see us as “inspirational” for living a completely normal life. But, it's normal they can't imagine what our lives might be like, they haven't lived them. I can't imagine the challenges a mother might face because I've never had those life experiences Yet, society does not see motherhood as inspirational. Like earning a living, motherhood is seen as one of many normal paths one takes in life. Our society is built around comparing our journeys but in the process, we forget that we are all inspirational in our own ways. We all face challenges, we all experience defeat and we all learn to grow. Yes, there will be some exceptional individuals out there, creating change and trying to make the world a better place. Those ones are inspiring because of what they do, not who they are. With this I have two pieces of advice. For those getting told they are inspirational, have a think about why someone is calling you that and if you are uncomfortable with it, gently challenge it. I started challenging those around me over the last few months and they have either stopped calling me inspiring or they are using words which I'm more comfortable with. For those of you who call others inspiring, have a think about why you do. Is it because of who a person is or what they have done with their lives? Guest post by Anoushé Husain. 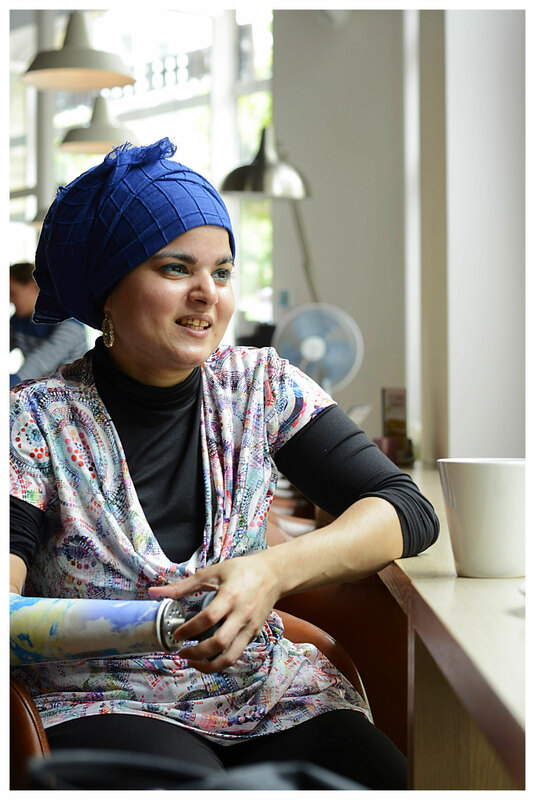 Anoushé was born missing her right arm below the elbow, is living with multiple health conditions, is a cancer survivor, a Muslim and coming from an ethnic minority. She has never let what society or culture thinks she should do limit her or dictate the direction of her life. 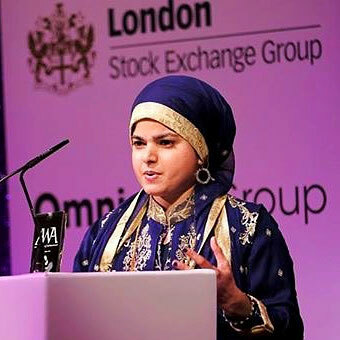 She is constantly breaking the mould and challenging not only her own beliefs about her own potential but also that of society and her own culture. This page is made by amputees. And it is made for amputees and their families. The Active Amputee wants to enable you to make informed decisions by providing unbiased information. The Active Amputee wants to inspire action through the sharing of stories. And the Active Amputee wants to build a community of active amputees by encouraging engagement and mutual support. Nothing more, nothing less. It‘s as easy and simple as that. The people involved in The Active Amputee love to hear from you. Give us feedback about this page, send in your stories so that we can share them with others, let us know about events that are of interest for amputees, suggest topics you would like to read more about, ask questions. Really, anything that relates to amputee issues is of interest for The Active Amputee and could be featured on this side. Here is the contact form.